Enjoying brunch is supposed to be leisurely and the atmosphere at Catch 122 Cafe & Bistro captures that with its spacious floor and wooden tables. The service was friendly and the food was delicious just like all the positive reviews I read online. 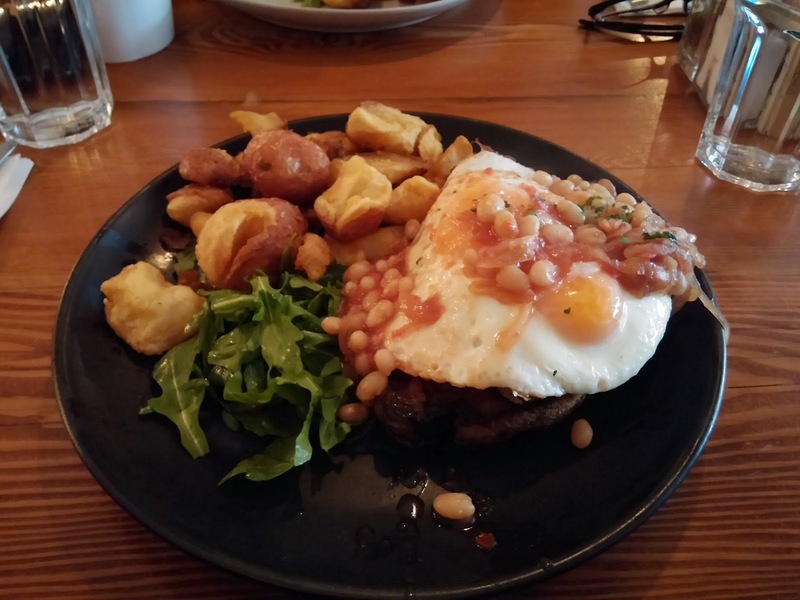 The Dirty Breakfast: Bit of a funny name for a brunch meal but it caught my attention and it made my taste buds happy. It included duck fat toast, duck confit, sunny-side up eggs, house-made maple beans, and yukon nugget potato hash. The potatoes were crunchy on the outside but soft on the inside and I really enjoyed it compared to chopped potato wedges. The duck fat toast with duck confit on top was savoury with the toast absorbing the flavours. The only thing I didn't like was that the maple beans were too sweet for my liking. Albeit it is made with maple but the sweet taste stood out too much amongst the rest of the savoury foods. 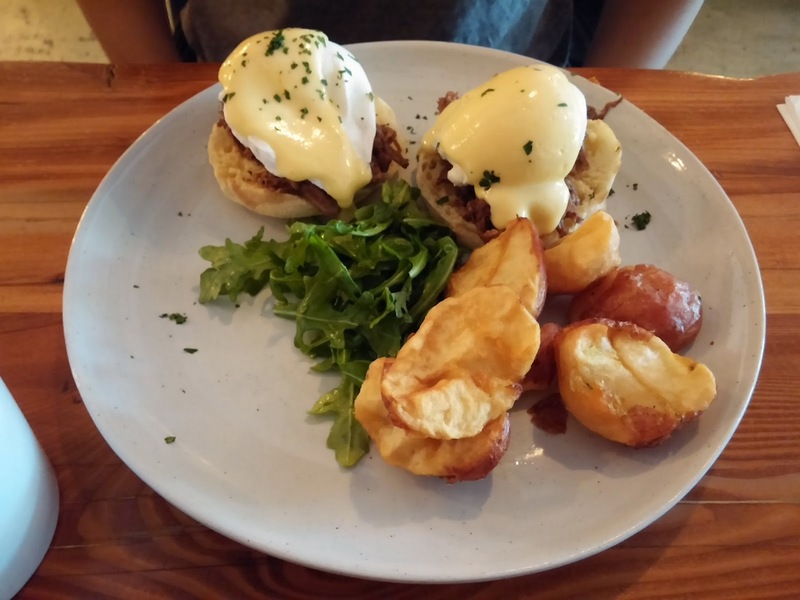 Braised Short Ribs Eggs Benedict: The hollandaise sauce is probably the highlight of this eggs benedict. It was the most buttery, smooth and aromatic hollandaise that I've tried in awhile. This dish included braised short ribs, poached eggs on english muffin and yukon nugget potato hash. Only one poached egg was successful as the other had a fully cooked yolk. That aside, everything on the plate was delicious. 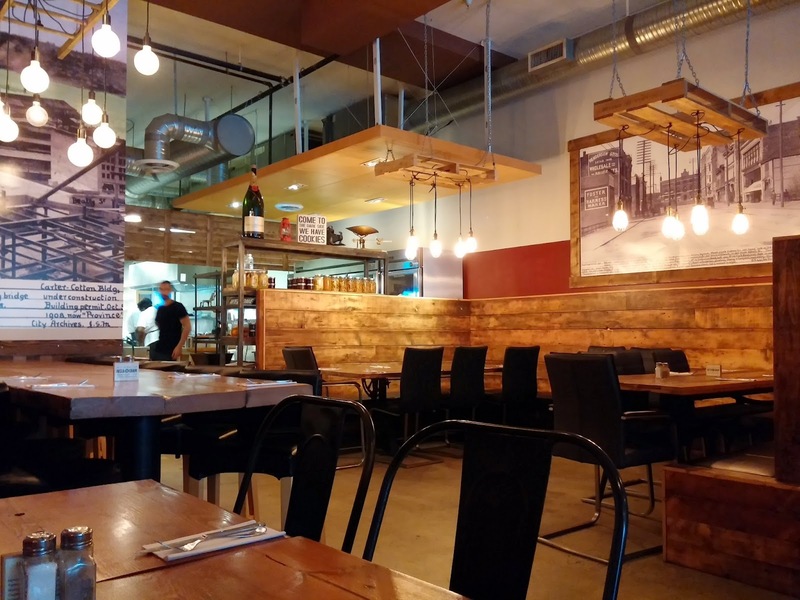 Overall Catch 122 is a great place to dine with friendly service, comfortable seating, and delicious food. Plus the brunch portions are large enough to fill you up right through lunch.